I have this formulated Generalized Assignment Problem (GAP) or it can also be considered as Binary integer programming problem. Solving this problem can be achieved through Branch and Bound Technique. Browse other questions tagged optimization convex-optimization lagrange-multiplier integer-programming karush-kuhn-tucker or ask your own question. 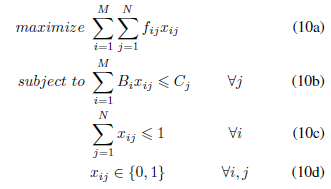 Do lagrangian multipliers converge to dual variables in LPs? Is there only one set of KKT conditions for a given optimization problem? Finding KKT conditions for nonlinear optimization problem.